Getting visitors to your site is not easy. You need a vehicle to reach your target audience. Fortunately, search engines have come up with marketing tools that can help boost your traffic. Just as TV channels provide ads, search engines offer online advertising opportunities through something called as PPC campaigns. Pay-Per-Click or PPC is a form of online advertising wherein your ads are prominently displayed along with the search results. As the name implies, advertisers are charged each time an ad is clicked. PPC works on the concept of relevance. Whenever users search for a specific product or a service using the keywords that you target, your ad will be shown prominently in the search result pages. How can you create the Ads? There are 2 main platforms through which you can create and manage your advertisements. AdWords is the brain child of Google and it is the largest pay-per-click platform available on the Internet. Launched in 2000, it has gone through several iterations and has supported a wide spectrum of companies right from small businesses to Fortune 500 companies. AdWords primarily runs on Google and partner sites such as AOL and Ask.com. Additionally the display ads are shown on thousands of Google partner sites. Bing, a Microsoft owned entity has its own PPC platform wherein the ads will be shown on Bing and Yahoo. Bing Ads is predominantly keyword based advertising. As of 2014, it has been reported that Bing Ads has an approximate audience of 553 million unique visitors and a market share of 29%. Now that we’ve learnt about the platforms and the importance of paid advertising, let’s see how we can go about creating and managing the campaigns. You need to carefully choose the products that you want to promote. Say you own a clothing store and you want to promote your new clothing line for the upcoming festive season. First you need to do a basic research on Google about your competitors and what offers they’re running, in order to come up with a strategy. You need to compare the price and discounts that you’re offering with your competitors. Find out what you’re offering that your competitors don’t. You will have to highlight it in the ad copy. Keywords are the building blocks of your online promotional activity. The success of a PPC campaign depends on the manner in which the keyword are targeted. Each keyword that you choose should be assigned a match type. Broad Match is a default keyword matching option which will display your ad for queries that are synonymous or deemed relevant by search algorithms. While this gives you a wide reach, you can’t filter the targeted audience. You also risk losing money without any conversions. Broad match should be used with caution particularly on tight budgets. Phrase Match is more refined as it targets search queries that have the specific phrase or a close variant in the same order that is being searched. Exact Match will target the search queries that are exactly identical to the keyword that you’ve mentioned. For example, if you target ‘buy clothes for kids’, the ad will be displayed for the exact search phrase and not for any other variations. This limits unwanted people clicking on your ad and improves your conversions. On the flip side, your reach is limited and getting traffic is difficult. It is advisable to use a combination of Phrase match and Broad match to get optimum results. Apart from the match types, it is a good practice to add negative keywords to avoid unwanted people clicking the ad. For example, if you target ‘Kids clothing’ using broad match, the ad will be shown for keywords like ‘kids toys’ or ‘women clothing’ and the like. This brings unwanted traffic and provides no conversions whatsoever. To avoid that, negative keywords need to be included in order to minimize the costs incurred due to irrelevant traffic. Now that you’ve created the campaign and zeroed in on the product(s) to be promoted, you’ll need a specific landing page to facilitate the desired action. Each ad should have a separate landing page with a distinct and clear call-to-action button. Keywords mentioned in the ad should match with the page content. Since it takes a matter of seconds for the visitors to make the decision, you should try to keep your value proposition straight and simple. Also your landing page should be properly optimized to make the visitor experience a useful one. It is always about the experience, isn’t it? 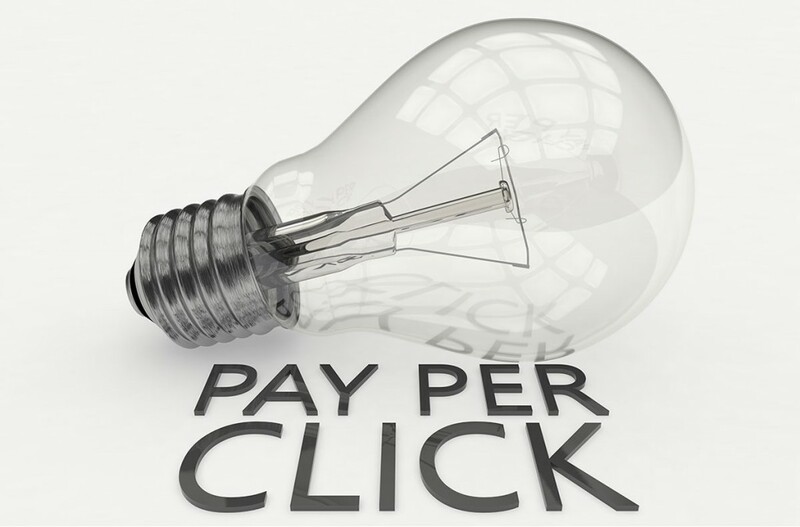 Generally, PPC campaign allows you to create different ad variations for the same product. The idea behind that is to provide variation and test the effectiveness of each copy. If a particular ad doesn’t provide good conversions, you can run alternate ads and measure their performance. Same applies for the display network. Create 3-4 ads per ad group and rotate them to increase the CTR. Analytic tools offer a plethora of data that can provide actionable insights into the performance of your marketing campaign. To run a highly efficient campaign, you need to constantly get feedback from the tools and study the numbers. To get hold of these metrics, you need to integrate your AdWords account with Google Analytics. Bounce rate is an important parameter in PPC. If your landing page has a bounce rate of more than 50%, then it’s high time you reworked on your landing page – including page content and design. Click-through rate (CTR) is determined by the number of clicks that your ad for the number of times your ad is displayed. Ideally you need to have a low bounce rate and high CTR to get good conversions. Now that you’re running your campaign, keep a watch on the user interaction on the landing page. Typically, we apply the 80/20 rule. Of all the keywords that you target, there is a good chance that only 20-30% of the keywords will give you the real value – i.e. sales. Therefore, you need to identify the ad groups that are not giving a positive ROI and stop them. This will improve efficiency and will help stop hemorrhaging money. By this technique you learn your target audience behaviour and accordingly you can drive them to achieve your campaign goals. Many a time you would come across people who click on your ad and then move on to other sites. Since a cookie is latched on to the visitor IP as soon as the ad is clicked, you can track them and show your ad through remarketing. This way you can target your potential customer without spending extra money. Refining the campaign is a very interactive process – using PPC to get visitors into the landing page and analytics to study what they do once they arrive at the page. Following this method will help you make the most out of your advertising efforts. Additionally all the techniques that you learn from PPC can be incorporated into your SEO campaigns as well. If you have any queries or suggestions, please post them in the comments section below.